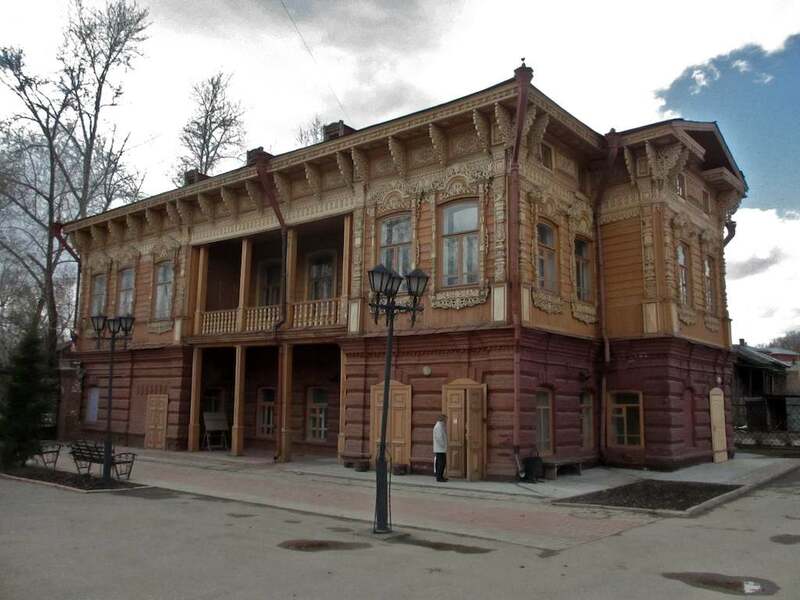 My mother recently oohed and aahed over the wooden architecture one finds in Tomsk. I can’t say as I blame her, so I thought I’d post this series of photos today for her. 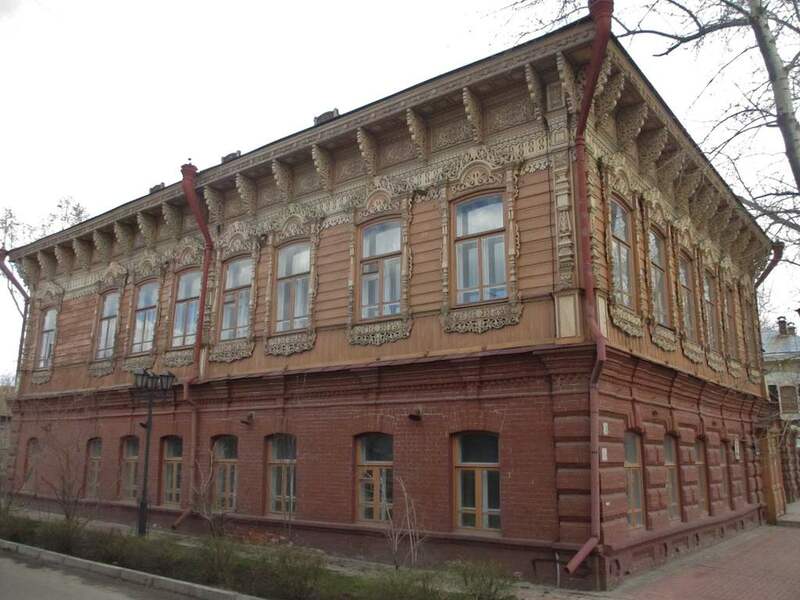 This is the building that now hosts the Vyacheslav Shishkov Arts Center. 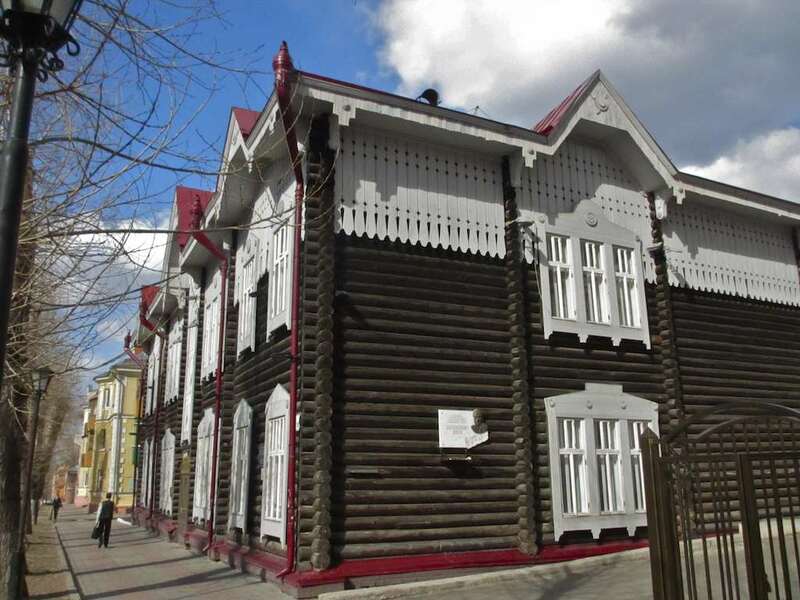 It houses a small Shishkov museum and provides space for all kinds of artistic endeavors for modern-day residents of Tomsk. It’s an imposing bit of architecture, with the gorgeous laced wood decorations standing atop a nice, firm, brick first-floor foundation. It wasn’t always like this, of course. In the last photo below you can see what the building originally looked like before it was expanded and fortified. Still, the specimen we have today is impressive. 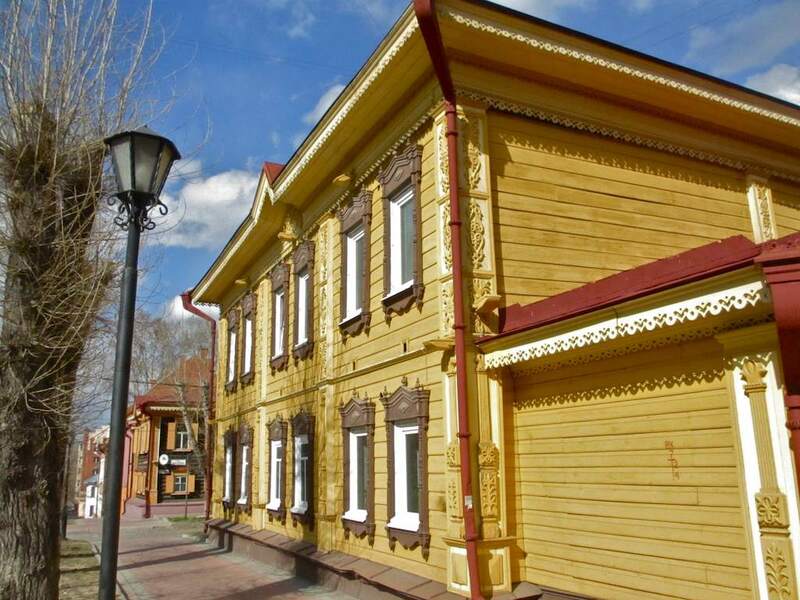 The photo above pictures the building from the courtyard, which is where you find entrances to all old wooden buildings in Tomsk. The next photo below provides a view of the structure from the street. 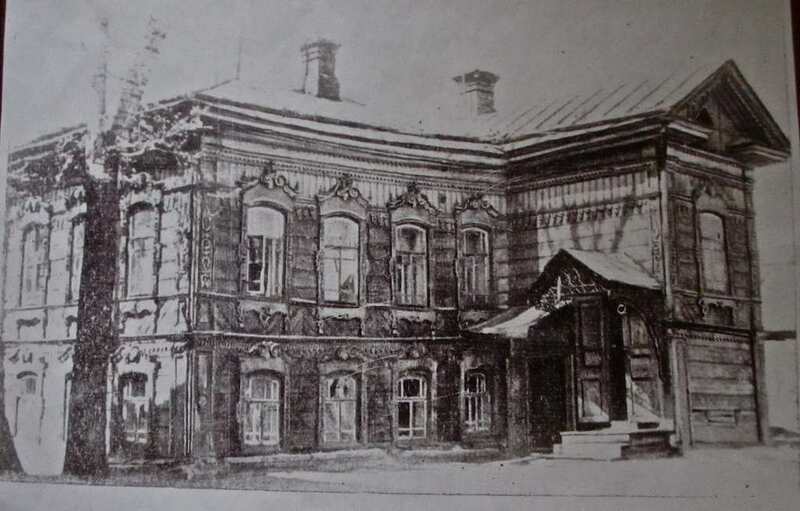 Shishkov lived in this building, building No. 10, from 1911 to 1915 (he had resided in Tomsk since 1894) and here he wrote several of his well-loved works. 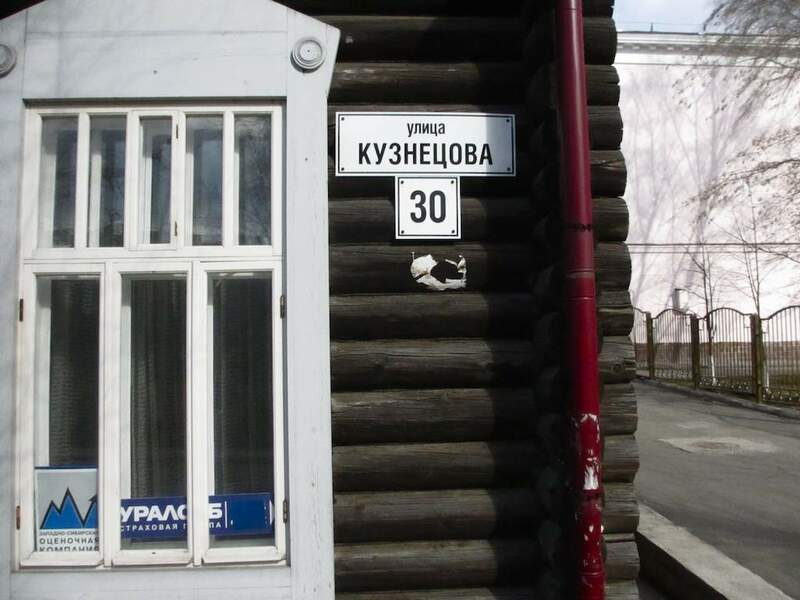 Incidentally, when the writer lived here the street was named Krestyanskaya Ulitsa, or, Peasant Street. 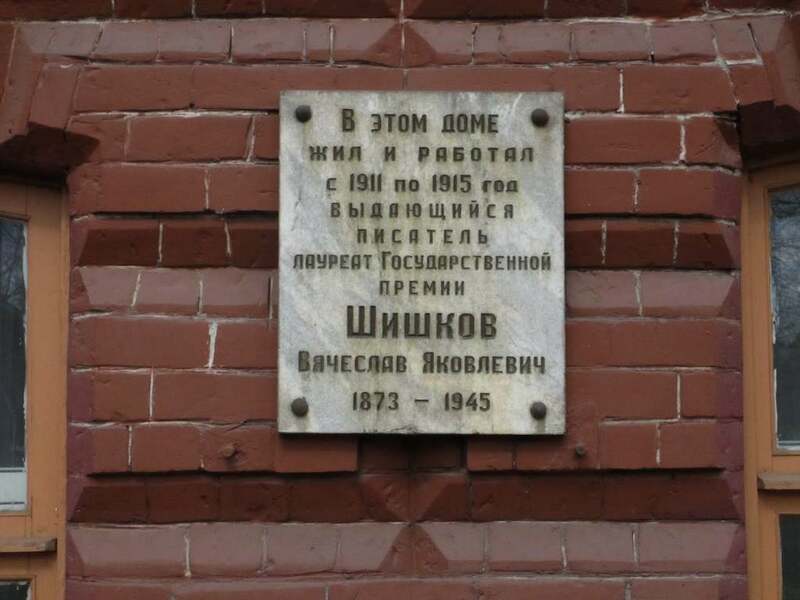 It was renamed as Shishkov Street in 1953. Shishkov was not only a writer. In fact his name attracts several epithets, including ethnographer, social activist and river navigator. He led many expeditions exploring Siberian rivers, including the Ob, the Yenisei, the Chulim, the Charysh, the Lena and the Vitim. He left Tomsk when he took a job in Petrograd (formerly Petersburg, later Leningrad) at the Ministry of Roads and Waterways in 1916. There he oversaw the building of the Chuisk Road, or highway, leading from Novosibirsk to Mongolian lands. The same basic road is still in use today. Shishkov made his literary debut with a tale called “Cedar” in 1908. It was published in Siberian Life newspaper. 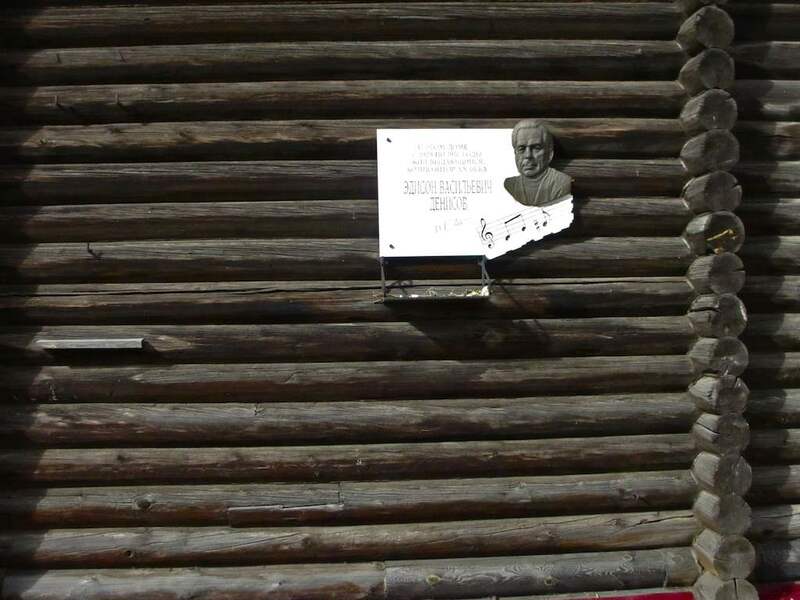 His novella, Taiga, was written while he lived in Tomsk. He began to publish actively around 1913 and his literary activity increased again when he moved to Petrograd. His two most famous novels are The Horde (1923) and Ugryum River (1933). He remained in Leningrad for part of the great siege of that city during World War II, and there he worked on what was to be an unfinished, three-volume novel about the life of the Russian rebel Emelyan Pugachyov. 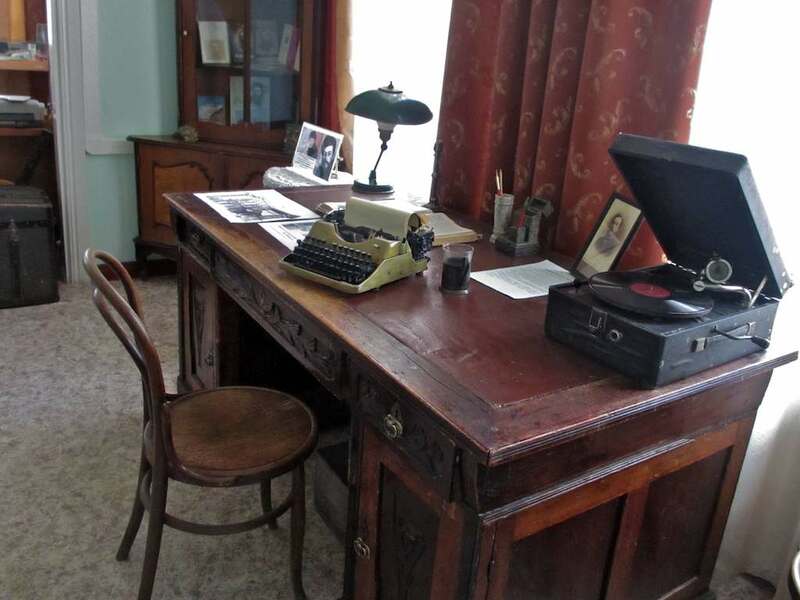 Immediately below is a picture of Shishkov’s desk as now displayed, with original implements, at the Shishkov Arts Center. 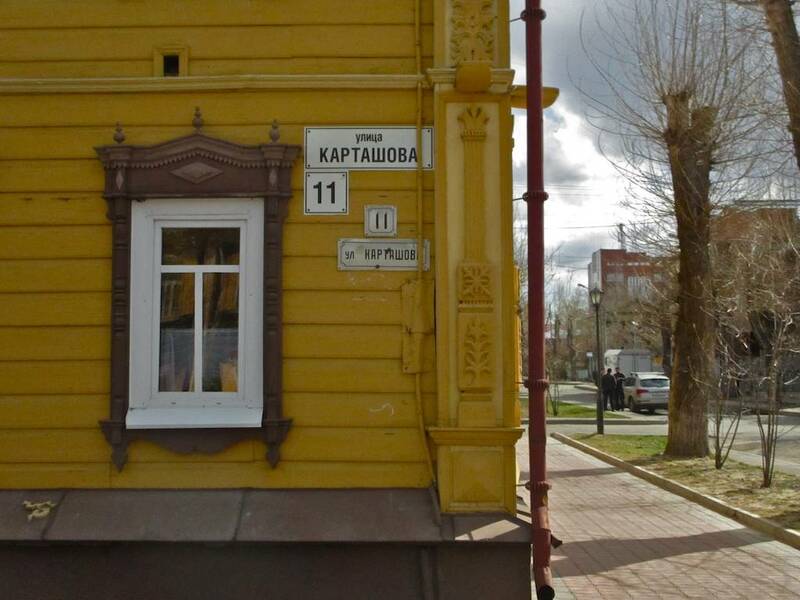 I would like to point out that the man you see standing at the building’s entrance in the top photo is Pavel Rachkovsky, the architect, historian, photographer and great Tomsk expert. Having Rachkovsky along with you in Tomsk is far better than having the key to the city or a million dollars. He can open any door, just as he is doing here on the museum’s day off. It was enough for the woman guarding the fort to see Rachkovsky’s face to open the entire building up to us. My thanks to her and, once again, to Pavel, for the incomparable Siberian hospitality. There’s nothing here but a snippet of a story. And not much of a snippet at that. But there is enough to make it worth the telling. 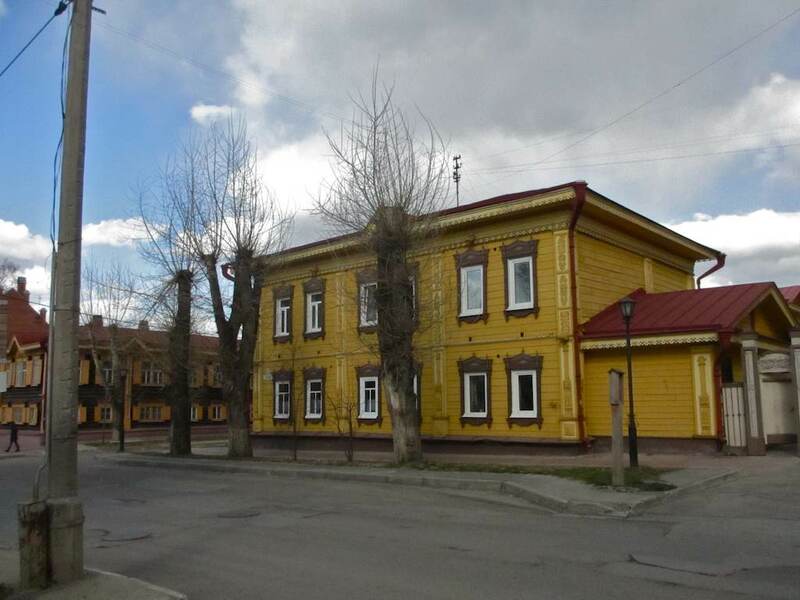 I was walking through Tomsk with my friend Pavel Rachkovsky in April 2014 looking for buildings and monuments with connections to Russian cultural figures. I love what happens in the imagination when you stand before a home or a hall or a building of some kind and think about what has gone on there, who has been there, what they did, what they read and what they wrote or painted or composed. The point was to begin gathering photos for a website or something that I might do someday. Like Russian Culture in Landmarks, for instance. 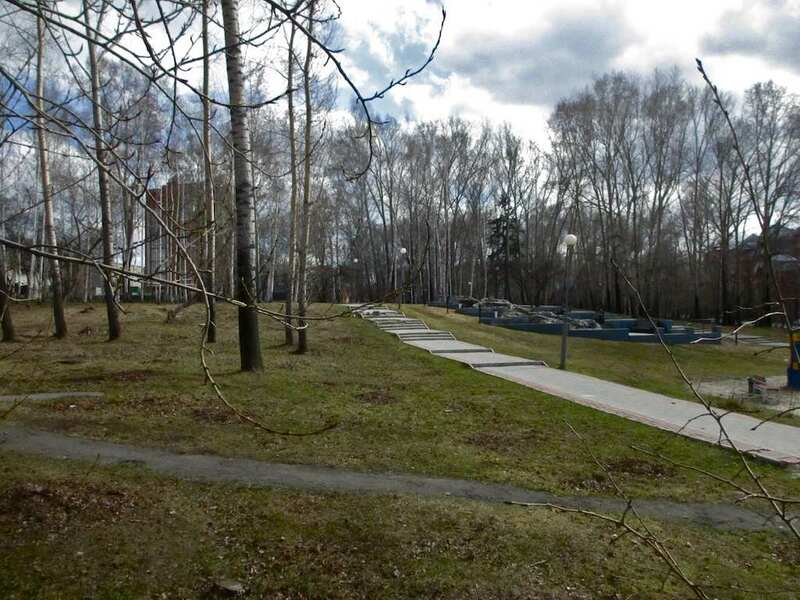 Anyway, as you can read in a Moscow Times blog I wrote about that trip I took to Tomsk, Rachkovsky stopped me as we passed a relatively unprepossessing park, the east side of which bordered on Krasnoarmeiskaya Ulitsa, or, Street. Waving his hand at the trees and lawn, he said, “This is Bouffe-Garden and one time the poet Igor Severyanin came here to recite his poetry.” I stood there a few moments to take in the news Pavel had unloaded on me. 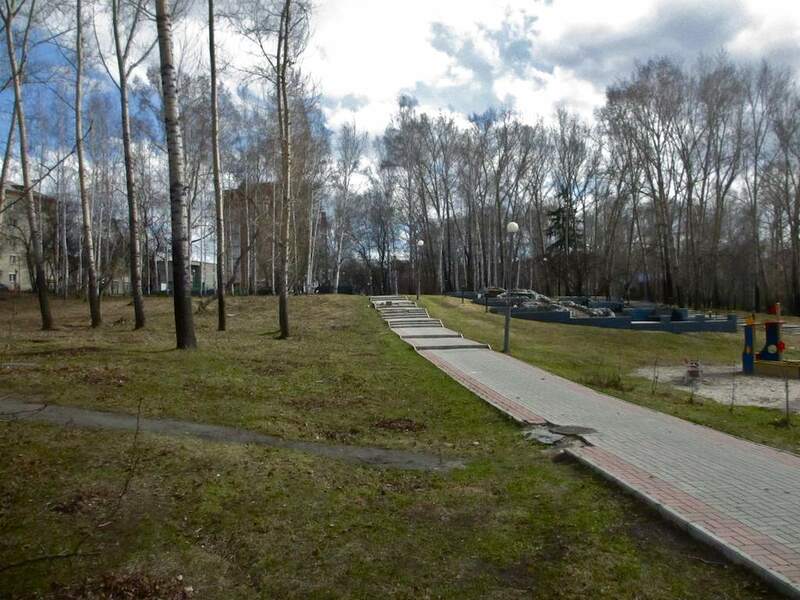 What an incongruous thought – Severyanin and this park! I snapped a couple of photos, thinking about the tall, imposing poet unleashing his expressive poetry into the Tomsk night, or day, air. One of the most-used books in my library is Victor Terras’s Handbook of Russian Literature. In it Aleksis Rannit writes that Severyanin, “early in his career recited his poems by half-singing with his masculine-lyrical baritone voice of beautiful timbre and perfect vocal technique, and later, after the Revolution, in a simple, slightly incantational manner. 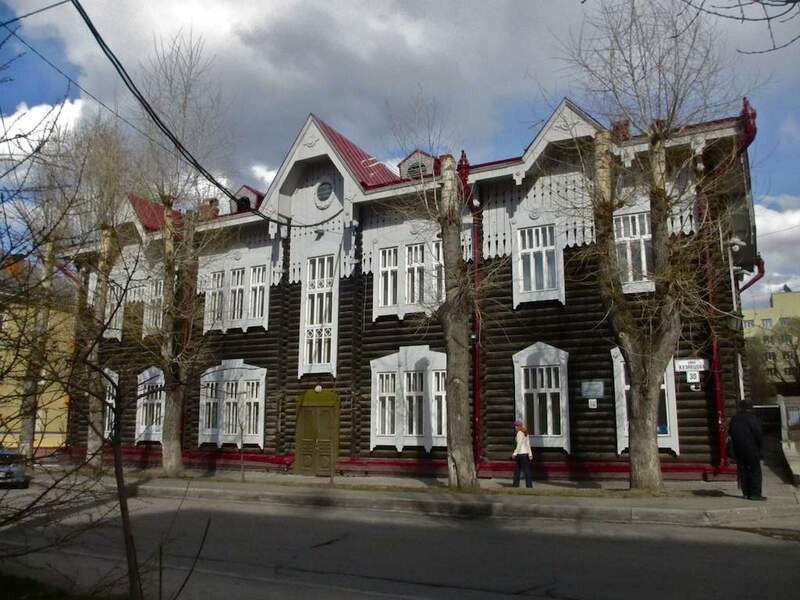 His tumultuous successes before large, hysterical crowds were similar to those of Elvis Presley.” Just imagine that in the Bouffe-Garden in Tomsk. 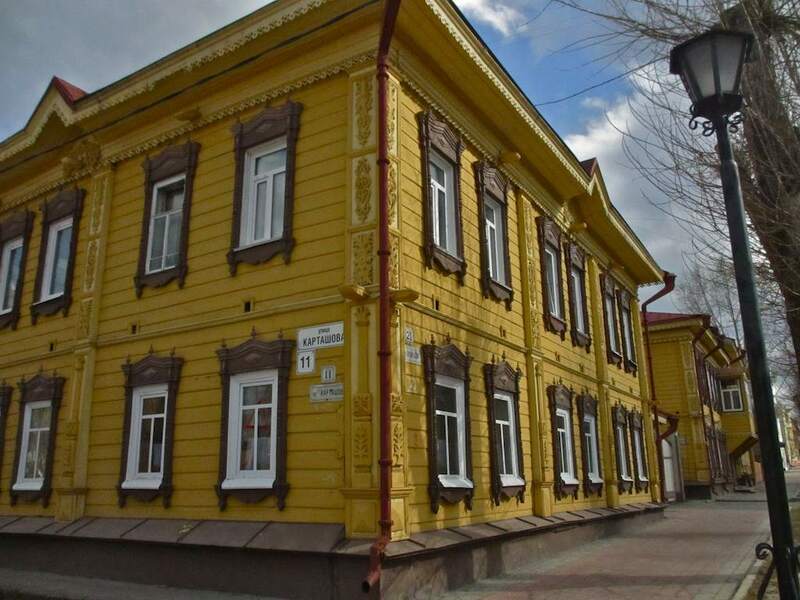 The city library of Novouralsk provides another glimpse into how Severyanin’s readings were received by the public. My face is shown on every screen! I’m confirmed in every heart! From Bayezid to Port Arthur. And thunderously seized the throne! “I shall be!” I said a year ago. Perhaps in Tomsk, too, a ruckus was raised, a furore caused, a madhouse foisted on the town. Perhaps the women fainted in pre-Elvis swoons. We’ll never know. Not unless someone unearths a description of that day Severyanin – who was born in 1887 and died in 1941, whose real last name was Lotaryov and whose pen name means ‘The Northerner’ – read his poetry in Bouffe-Garden. And even then – such a vague, distant and unsatisfying substitute that would be. Nowadays there is nothing in Bouffe-Garden but the occasional cry of a happy child – or not – and the wind whispering in the twiggy trees. That is poetry of a sort, of course. It satisfies many. But it’s not Igor Severyanin, and I must admit, I would have loved to hear the echo of his voice in the park in Tomsk that day. Here is one of those moments when you want to strike up singing the old Beatles’ song “With a Little Help from my Friends.” As I walked through Tomsk past this colorful structure bearing the addresses of 11 Kartashov Street on one corner and 20 Kuznetsov Street on the other, I would never have known it was worth stopping and thinking about had it not been for a friend. 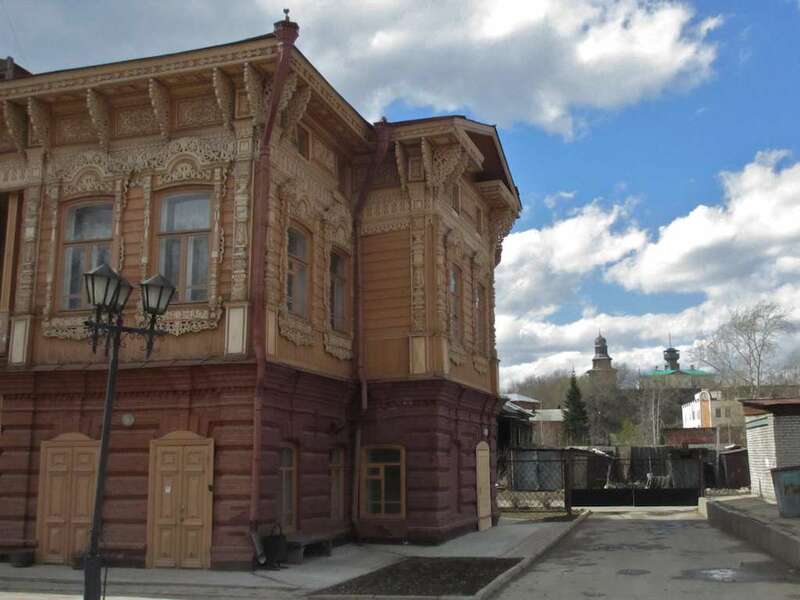 I was, at the moment, in the hands of my great friend Pavel Rachkovsky, an architect and an expert and activist in the movement to save Tomsk’s spectacular, but dwindling wooden buildings. 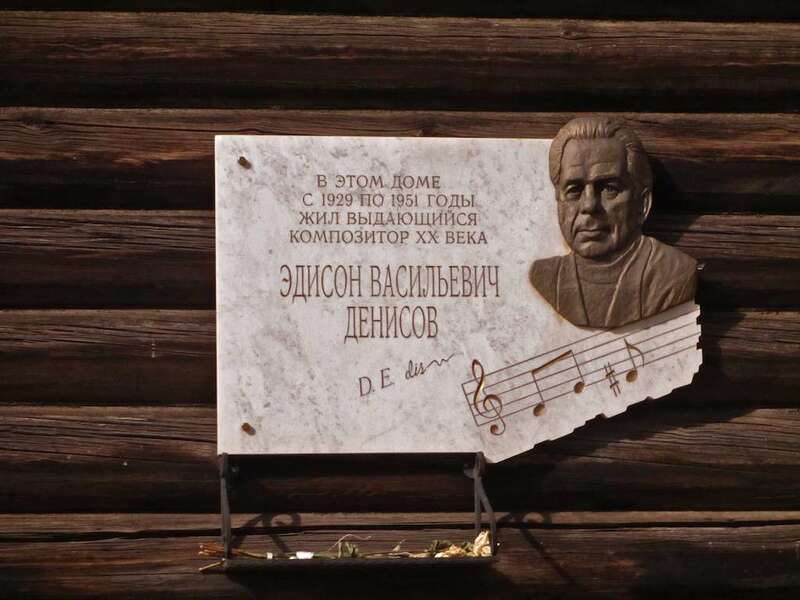 We were heading towards the childhood home of the great composer Edison Denisov, who grew up just one block from here, but Pavel stopped me here and said, “Now this is one of those places that nobody knows anything about and that’s a real shame. This is where Matisse’s last muse and assistant Lydia Delektorskaya was born and grew up.” Just like that, an attractive but anonymous building suddenly acquired for me a story and a place in history. I must admit I had no idea that someone so important to the great French painter had come from the Siberian city of Tomsk. For all the reading I have done, nothing had brought me to all that has been written about Delektorskaya, including this blog or this blog with some nice photos, artwork and details about her relationship with Matisse and his wife. By all accounts she was a fascinating, independent, resourceful and wise woman. Rachkovsky, who is an employee of the Tomsk Ministry of Culture and is a fine photographer as well as historian, kept on talking as we walked back and forth around the building. “I have tried to get people interested in putting a memorial plaque or some other form of remembrance on this building, but so far no good,” he said. “But I think it’s pretty extraordinary that a young woman, who grew up right here in this house, made her way in the world after losing both her parents at an early age and got herself to Europe while Russia was going through some difficult years. That says a lot about her character and I think Tomsk should be proud that she began her journey here.” For the record, Delektorskaya was born in 1910 and she died not all that long ago, in 1998. According to a picture in the second blog I mention above, she is buried in the town of Pavlovsk outside of St. Petersburg. 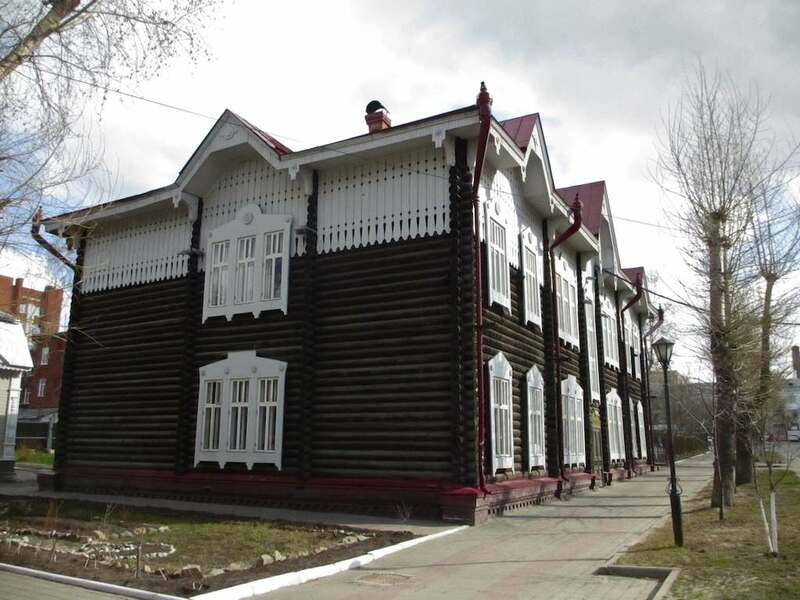 As for the home of her birth, I’m with Rachkovsky – this striking wooden home would be all the more beautiful if passersby knew who once lived here. P.S. My wife Oksana Mysina reminded me hours after this post was made that she recorded the voice of Delektorskaya in Olesya Fokina’s documentary film Lydia D., which can be watched in full (in Russian) here.